Indulge your skin and intoxicate your senses with our seductive body cream enriched with Ylang-Ylang, Neroli, and Pink Peppercorn. Luxurious organic butters and oils instantly moisturise your skin to leave it smooth and supple with a healthy glow. Skin and senses are gently cushioned in an indulgent perfume of sensual florals. • YLANG-YLANG: Calming, soothing essential oil that helps alleviate stress, naturally lowering high blood pressure and decreases nervous tension. Well known as an aphrodisiac, it has an excellent balancing effect on both oily or dry skin. • PATCHOULI: An excellent skin tonic and stimulates the growth of new skin cells. Its regulating properties tone, condition and strengthen skin tissue. • ORGANIC KUKUI NUT OIL: Contains Vitamins A, C and E, and is very high in Alpha Linolenic Acid (Omega 3), Oleic Acid (Omega 9) and Linoleic Acid (Omega 6) – all the antioxidants needed to keep your skin looking younger. • ORGANIC SHEA BUTTER: Rich in Vitamin A, which helps alleviate dry skin, ease eczema, dermatitis and sunburn. It also has high levels of skin-friendly Vitamin F, which contains fatty acids that can aid normal cell growth and keep skin young looking. Massage into towel-dried skin after bath or shower. Alternatively, apply onto hands as hand cream. 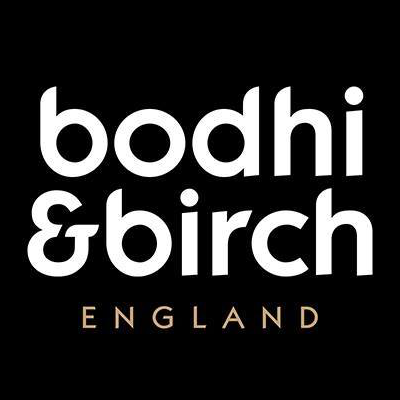 I won mine as a prize but have bought Bodhi &amp; Birch products before and absolutely love this as it is a perfect one for applying after my night time bath and then I can enjoy the wonderful sensual aroma as I fall asleep. It is very moisturising and you don't need a lot to get a good coverage and it soaks in well leaving my skin feeling soft and healthy and smelling sensual. "A really lovely body lotion that goes well with the matching bath product which I still have some left of"